ROLLING MEADOWS, ILL., USA – May 1, 2014 – World renowned laser cutting manufacturers, Spartanics, announced today that the 50 year old company has appointed Mr. David Birch as Spartanics Business Development Manager. 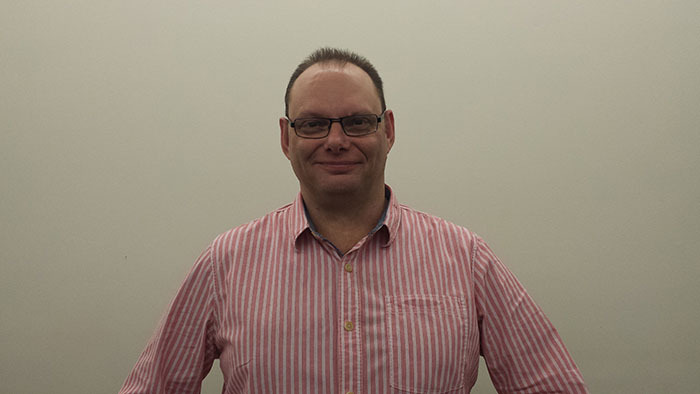 Mr. Birch joins the Spartanics team with over 20 years of experience in the digital print and converting sectors. To continue to enhance the global reach of Spartanics, Mr. Birch will be providing technical and engineering support to clients in Europe and Asia. “As our brand grows globally so does the need to service and support our equipment. The addition of Dave gives us technical expertise in Europe and Asia along with sales support for our worldwide network of distributors. We are excited to welcome him to the Spartanics family,” explains Mr. Paul Dirienzo, Spartanics VP of Engineering. Mr. Birch offers an extensive electrical and mechanical engineering background. He was involved in the design and evolution of the Digicon Series, the world’s first digital converting machines, with Partoria Engineering. Previously, Mr. Birch has worked as a European Technical Manager, a Laser Die Cutting Project Manager and a Laser Die Cutting Business Development Manager for companies such as, Computype and AB Graphic International. He also has extensive experience working with digital printing companies, including early versions of the roll-to-roll digital label printing presses from HP Indigo. Spartanics provides roll and sheet fed laser cutting solutions to the label and packaging markets. Spartanics recently unveiled Fastline Laser Cutting Software Technology, a 1-click pre-press solution that dramatically reduces the time involved in the extraction of die lines from laser cut and print files. The Fastline Laser Cutting Technology is compatible with all Spartanics Laser Cutting Solutions, including the L350 Laser Cutting System and the INX NW140 UV Inkjet Digital Printing System. This news comes just a few months before the 2014 Labelexpo Americas Show in Chicago, where Spartanics is expected to debut the Fastline Laser Cutting Software along with a new hybrid converting line. For all sales and product inquiries please contact Mike Bacon, VP of Sales and Marketing at Spartanics, (847) 394 5700, FAX (847) 394 0409, Email: sales@spartanics[dot]com.